I am delighted to welcome Crime Writers’ Association Chair, Alison Joseph, as my guest this month. 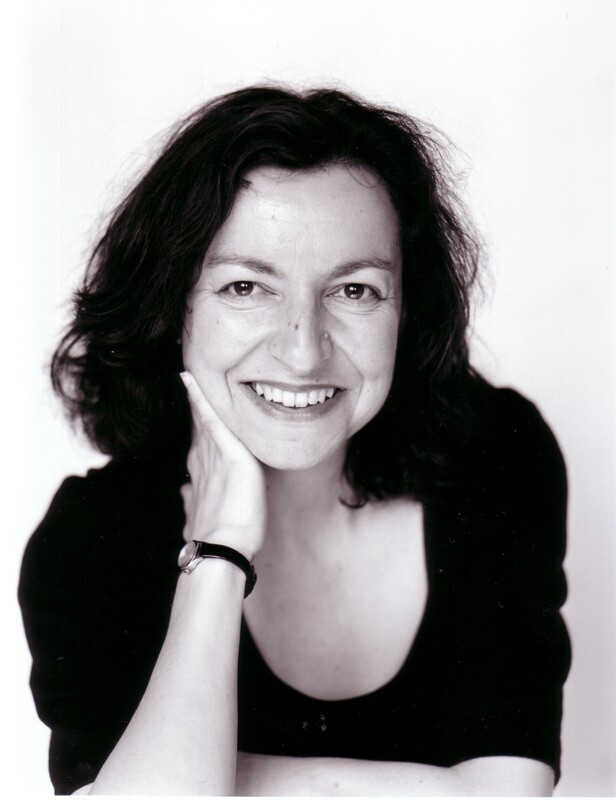 Alison is a prolific author of crime novels as well as a radio dramatist skilfully adapting such works as Georges Simenons’ Maigret for the listening audience. Have you had a love of books and story-telling from a young age? Absolutely. I began to write stories almost as soon as I knew what writing was. And I was an obsessive reader too. I was quite a sensitive child, and sometimes real life was somehow too big, or too chaotic, perhaps, so finding I could take refuge in fiction was a huge relief. Not that I had an unhappy childhood, though – it was more my own response to it. Your career began in local radio before making documentaries for Channel 4. When did you decide to branch out and become an author? I loved being a radio presenter, in Leeds. And then, back in London, I got into making films. Documentaries is only another kind of story-telling, really. I made a series about women and religion for Channel 4, presented by Helen Mirren, and at that time my first child was about a year old, and I’d just tuck him under my arm and bring him on the shoot with me – in fact I have a lovely photo of him and Helen gazing rather adoringly at each other. But as he got older and then I had two more children, the logistics of freelance directing and childcare just got too much for me. As I said, I’d always written, and it just seemed to be the right time to start to take it seriously as a career. What appealed to you about the crime genre? I rather tumbled into it. I was lucky, that my first few short stories got published – they were mostly romances for women’s magazines. But I started hatching a plot to write a detective nun, and my then agent was extremely encouraging about it, so I wrote the first Sister Agnes story chapter by chapter, sending it to her. And it got snapped up straight away, and I started on the second. But even then I had no idea how much I would love being a crime writer, and how a properly structured, page-turning story was the thing I really aspired to do. The Sister Agnes Mystery series has an independent, compassionate and frequently challenged protagonist at its core. Did you set out to explore issues of faith, science and life as the character develops through the cases she solves? Again, those themes grew with time. 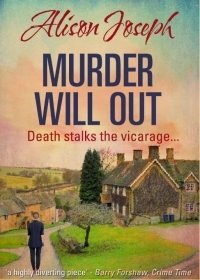 The idea of a detective nun to start with was a kind of literary device – I wanted a female detective who was single and who would stay that way, but I didn’t want anyone hard-edged, and I didn’t at that time want to write a policewoman. Sister Agnes is white, half-French but very English, a contemporary nun, working in an open order, and as I wrote more of her I realised how she can quite realistically be in a position to know more than the police, for example, she works in a hostel for homeless people in South London. It’s difficult to write a believable amateur detective in these times of expert policing, so an amateur detective has to have access to places that the police can’t necessarily uncover with any ease. And then, of course, there’s the dilemma of having a character who believes in a benign God constantly being brought face to face with the worst that one human being can do to another. Again, this has become a rich seam in the novels, her religious doubt in the face of suffering, and the way her own faith is tested by the criminality she encounters. The novels have a very different setting, giving each book a fresh appeal. Did you plan out the whole series beforehand or do you move Agnes on one book at a time? I don’t plan anything. Although, I have got a bit more orderly in my plot structuring as I’ve got better at it. My early plot structures were completely chaotic and often re-written madly as a result. But I have certain obsessions which I constantly circle in my work, and having a continuous character has been a great gift in exploring them. So, for example, The Dying Light is about family secrets emerging. It’s set against the background of the building of the Jubilee Line extension – I got to go down into the tunnels while they were being built, which was fantastic. And the Night Watch is about gambling and chance and the mathematics of probability. And A Violent Act is all about creationism and Darwinism. Last year Dying to Know was released. What appealed to you about Detective Inspector Berenice Killick? Berenice is a policewoman, a mixed-race Yorkshirewoman. I had got to the point where I wanted to write more realistically. If you’re a copper then you really are dealing with murder, whereas if you’re a nun, even on the mean streets of Bermondsey, it’s not going to be that normal to have to solve a crime. 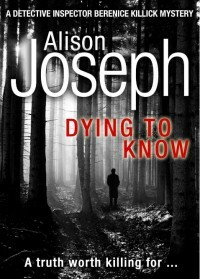 Dying to Know is a police procedural about particle physics. I invented a physics lab in Kent, on the marshlands of the south coast there, and the story starts when it looks as if there is a serial killer targeting the lab. I got to visit the Large Hadron Collider at CERN for it, which was one of the most compellingly interesting days of my life. What is the most challenging aspect of adapting someone else’s work for radio? The thing about writing a radio play is that it’s all about speech. But in a way, so is crime writing. It’s about what people say – whether they tell the truth, whether they’re telling lies, whether they choose to say nothing at all. So my own radio plays, although most of them aren’t crime stories, still have a mystery about them, I hope. My adaptations have been more to do with crime, for example, the Maigret stories by Simenon which I absolutely loved doing. I love working with actors too – there’s a magic about seeing someone find the potential in a line of dialogue. You have been chair of the CWA for nearly two years, What major changes have you seen in that time and how exciting do you see the future of crime writing? It’s been a great privilege to be Chair. It’s a role I give up this April. The single most important thing I’ve witnessed in my time as Chair has been the centrality of the crime and thriller story to our culture. It’s quite wonderful, really, how readers and viewers take the detective story to their hearts. It’s not surprising, though – a well-told story that is about important issues of criminality and morality is always going to have a huge following. The other important issues I’ve seen are to do with publishing, and the business of it. Our genre remains buoyant, but of course there are concerns about the market’s greater reliance on bestsellers, and the sustainability of the business model of publishers selling to bookshops and bookshops selling to readers. There are so many fractures in that model, to do with on-line selling in particular. On the other hand, those fractures are opening up new markets, in terms of e-books and self-publishing, that weren’t there before. What is next for Alison Joseph? I have just started doing a series of novellas featuring Agatha Christie as a detective. The first one is called Murder Will Out. I was reluctant at first, as she’s real, of course, and I wasn’t sure it would be possible. But it’s been hugely enjoyable, firstly to write in that era (the first one is set in 1923) and secondly to structure a story around the tension between what’s real and what’s made up. And, thirdly, to aspire to Dame Agatha’s mastery of the crime story. I’m also planning the next Sister Agnes story, and the next D I Berenice Killick story too, and I’ve got another, male, detective, waiting in the wings. I seem to have created these demanding characters who are very keen to get on with the next chapter in their lives. I guess I’m just lucky that I haven’t yet run out of ideas. Thank you for taking time out of your busy schedule to answer my questions and share your writing experience and your love of the crime genre with us.